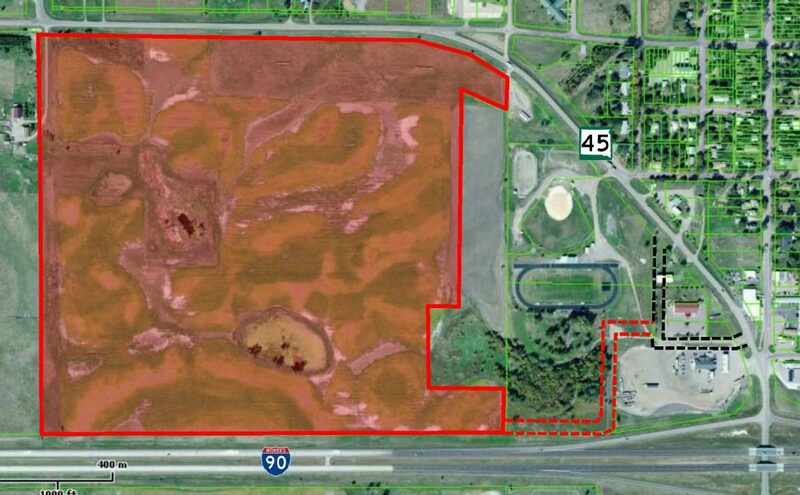 Development land located in Kimball, SD with approximately 2,600 feet of frontage along I-90. 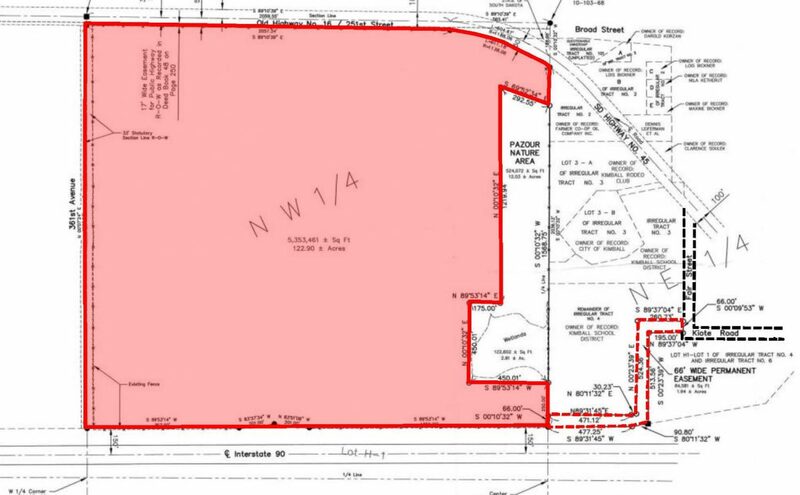 Most of the eastern property line is adjacent to a permanent Nature Preserve. Located 1/2 mile west of I-90 Exit 294. Easy access to rail service and I-90 via a dedicated easement to Kiota Road. May be able to sub-divide. Kimball area has long been a pheasent hunting hotspot. Excellent location for hunting and sportsman related businesses. City of Kimball is pro-development on this parcel.